Nemo was lost, then found. Kevin Costner built it, and they came. When it comes to home theaters and entertainment, you’d be hard pressed to find a better alternative than these classics. However, these movies can also tell you a lot about what may happen if you entrust your corporate boardroom to residential professionals. Just like Nemo, your connections may get lost, and unfortunately, not found. And just like Ray Kensella’s corn field in Iowa, you can build it, and clients may come, but will they come back? The truth is, an integrated conference room that offers state-of-the-art communication and presentation technology is not the same thing as a home theater, and it shouldn’t be designed or treated as such. Effective systems integration becomes much more complex as you step from the coffee table to the conference table. Planning, design and implementation of the various subsystems, automation, and hardware is imperative to a successful and functional integration. The pieces that you don’t see are as important as the ones that you do. This is where the gap begins to widen when you compare the skill sets, resources and experience of professional, commercial-grade integration to the demands of residential A/V and home theater installation. While the design and quality of a home theater is important and can be done very well; it simply doesn’t translate to the needs and scale of integrating a boardroom, meeting room, office or other type of space. The requirements and variables that stem from displays to lighting to audio support, and to automation and security are tantamount to surround sound and 4k HD. As a CTO, you need reliability and dependability when it comes to your A/V design, otherwise you, your CEO, or any other presenter will find themselves in an uncomfortable situation. By avoiding these 4 main mistakes, you can have exactly that, along with a fully operational, consistent audio and visual set up. 1.) Lack of / inconsistent control: When your CEO needs to make a presentation to shareholders, when your sales team is presenting to clients, when department heads report to their teams, they need to have full, uninterrupted control. All visual and audio components should work together seamlessly. Intuitive and user-friendly controls are imperative when it comes to avoiding the frustration (and embarrassment) of poor usability. While home theater designs can run multiple components (televisions, video game consoles, stereos, etc. ), the inner workings of an integrated room are dramatically more complex; and the consequences can be far greater than delaying family movie night. optimizing a room for presentation. 2.) Incorrect display: When it comes to displays many people defer to the opinion that bigger is better. For Jurassic Park or the College World Series that may be the case. Then you have to decide between UHD, LED, curved screens, etc., and that’s about it. A home theater or residential arrangement is going to have far fewer considerations than a conference room. For a corporate space the display needs to match the needs of the room which can range from presentations to teleconferencing. In some cases large LED displays can be appropriate, but a smartboard or projector may actually be better. There will also be the need to share access to the display, which is not necessary in residential designs. The customization necessary to meet the needs of a space cannot be achieved by a residential a/v specialist. 3.) Inadequate audio support: When it comes to audio for a home theater, loud, clear, and immersive are essential. You need to feel like you’re in Tiger Stadium or on Mars with Matt Damon. You also only need to be concerned with sound going one direction. However, inside the walls of your business important decisions are being made and communication is vital. In an integrated room the placement and design of speakers and microphones is essential to the effectiveness of the space. The audio factors in the room will be largely influenced by furniture, room design, display placement and many other variables. Integrated room professionals know how to optimize audio to not only be received, but to be sent as well. 4.) Improper lighting: An often overlooked element when it comes to design is lighting. Depending on the size of the room, placement of windows and existing lighting the quality of your visual display can be affected. When planning the lighting it is important to consider the purpose of the room, light sources, and colors. All of these elements will determine the room’s orientation and automation. Typically a residential specialist will have fewer elements to juggle and consider, and thusly have less experience. 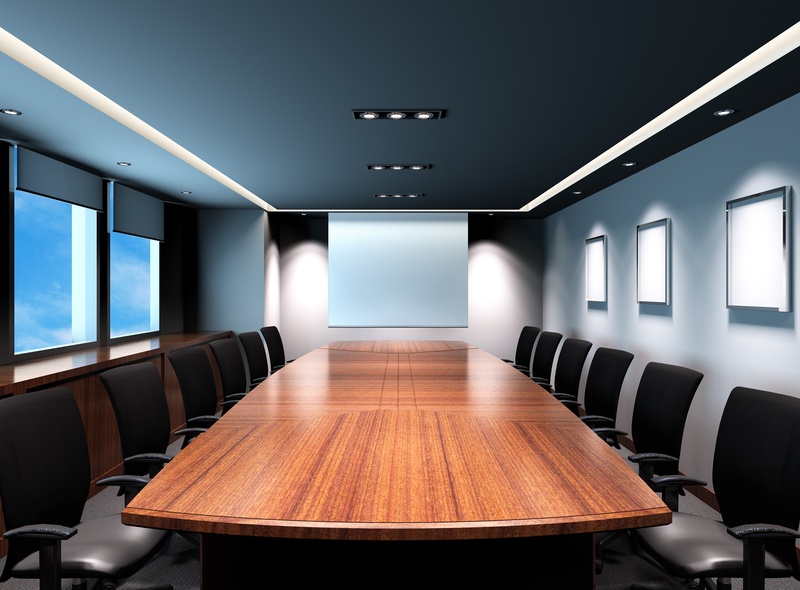 At the end of the day it is important to consider the specific and distinct needs of your boardroom, meeting room or office. In order to discuss, present, communicate and decide on the most important elements of your business, you need an integrated space that you can rely on and that fits your unique needs. With over 50 years of combined experience, Link Integration Group is an audio/visual information technology and cabling expert in the Baton Rouge area.